For much of the 20thCentury, the world experienced some appallingly conflicts, including two world wars that surpassed in scale and horror anything experienced before. 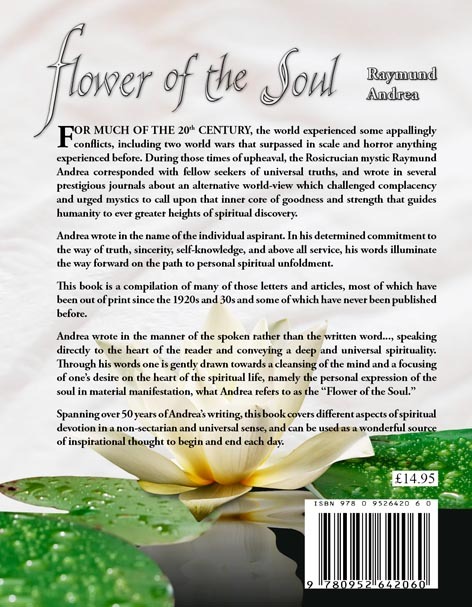 During those times of upheaval, the Rosicrucian mystic Raymund Andrea corresponded with fellow seekers of universal truths, and wrote in several prestigious journals about an alternative world-view which challenged complacency and urged mystics to call upon that inner core of goodness and strength that guides humanity to ever greater heights of spiritual discovery. Andrea wrote in the name of the individual aspirant. 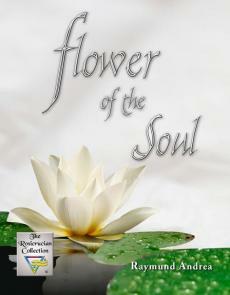 In his determined commitment to the way of truth, sincerity, self-knowledge, and above all service, his words illuminate the way forward on the path to personal spiritual unfoldment. This book is a compilation of many of those letters and articles, most of which have been out of print since the 1920s and 30s and some of which have never been published before. Spanning over 50 years of Andrea’s writing, this book covers different aspects of spiritual devotion in a non-sectarian and universal sense, and can be used as a wonderful source of inspirational thought to begin and end each day.